WASHINGTON — The first day of spring is now less than a week away which means spring planting across the United States will begin before we know it. Many key Corn Belt states don’t begin planting until sometime in April, so let’s take a quick look at the forecast and some of the potential planting risks for the month. For the region as a whole, April is projected to be several degrees colder than last year, with temperatures closer to normal, and trend the 13th coldest April in 27+ years. Precipitation-wise, April is forecast to be much drier than last year, slightly drier than normal, and trend the 11th driest April in 27+ years. While a regional and monthly view are an invaluable insight to the month, trends certainly vary week to week and location to location. Let’s look a bit deeper into the forecast. As mentioned above, April is projected to be colder than last year across the Corn Belt. The month is expected to begin on a much colder and wetter note than last year across a majority of the North Central US, including states such as the Dakotas and Minnesota. Key producers such as Iowa, Illinois, and Indiana, however, are forecast to see a somewhat more favorable start to the month as temperatures trend slightly above normal and conditions trend on the drier side. These conditions don’t last for long, though, as the second week of the month is forecast to be much wetter and much colder than last year across the Corn Belt. Many are expected to see temperatures fall up to 10F colder than last year and up to 5F below normal. This overall colder and wetter trend during week 2 of April brings the potential risk of snow showers. While the Western Corn Belt could take a turn for the warmer and drier during week 3, generally colder and wetter trends are expected to stick around in the Central and Eastern Corn Belt. Temperatures vs last year could be as much as 15F colder than last year from Kansas to Ohio with the wetter trends extending mostly from Missouri to Ohio. A much colder middle of April for much of the key planting region brings with it additional risks besides snow showers. This year, there is a higher risk for frosts and freezes during April throughout much of the Corn Belt. Areas such as Nebraska, Iowa, northern Illinois, Minnesota, and the Dakotas have the highest risk for frosts and freezes this year, but certainly cannot be ruled out for places such as central Illinois and Indiana. Unlike last year, where a generally warm February and March benefitted soil temperatures, colder conditions this year will largely have soil temperatures below 50F through at least the end of March. A colder April will suppress soil temperatures as well, enhancing the risk for planting in colder-than-ideal soil. 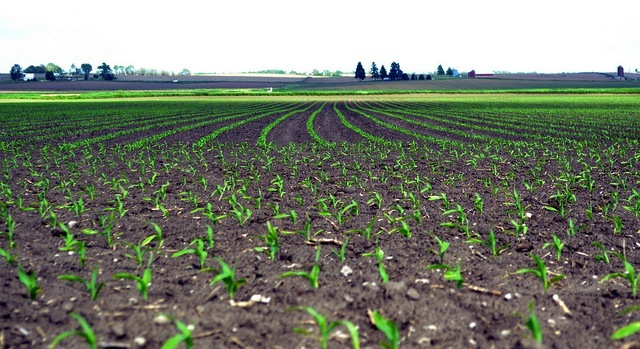 Typically, planting in colder soils brings overall yield potential down slightly. While not nearly a worst-case-scenario, planting during April this year will certainly not be without its share of risks. Frosts/freezes, snow showers, and cold soils are all potential headwinds next month across the Corn Belt so plan now and watch our forecasts to help limit your risks this year!